It has been said that the kitchen is the heart of the home. If you’re like many families, you probably spend a lot of quality time in your home’s kitchen and dining room. These are the places where loved ones come together for family dinners and holidays. Recipes and memories are made in these rooms. But if your kitchen décor is dated, you may be feeling less than excited about spending time there. Here are four home projects that will help update your kitchen so that you can enjoy your space again. Changing out or refacing your kitchen cabinets will make your space feel like new. If you don’t have room in your budget for a full replacement at this time, you have a couple different options. You can look into cabinet refacing, as it is typically less expensive than full cabinet replacement. Many companies that specialize in kitchen design can provide you with a free estimate on a refacing project so that you’ll have an idea of total cost. Alternatively, you may want to consider saving up for a full replacement. This approach might make the most sense if you’re planning to stay in your house for the long haul. A fresh coat of paint can change the look of your kitchen completely. Whether you’re feeling frustrated by dated, peeling wallpaper or your kitchen has been the same color for the last decade, consider repainting to give your space to give it an updated feel. It’s amazing how a couple gallons of paint can totally transform a room. Does your kitchen’s old linoleum flooring set your space back by a few decades? If so, it may be time for a flooring upgrade. Consider swapping out the dated linoleum floor in favor of something timeless and durable like stone or ceramic tile, laminate or hardwood. Many people prefer a tiled floor in the kitchen because it’s easy to clean and withstands the test of time. Visit a nearby home improvement store to check out some flooring options. Older countertops can easily make your kitchen feel dated. If you are interested in creating a modern look in your space, consider upgrading your existing kitchen countertops with new ones. Stone and solid surface counters are popular due to their durability and natural-looking appearance. Marble, granite, and soapstone are timeless material choices that will remain stylish for years to come. Updating your countertops is a great way to make your old kitchen feel brand new. If you’re interested in updating your older kitchen, there are a number of approaches you can take. Making changes to your cabinets, paint colors, flooring, or countertops can help you create a space where you truly enjoy spending time. For more information about kitchen upgrades, visit Superior Stone and Cabinet, one of the largest granite companies in all of Arizona. 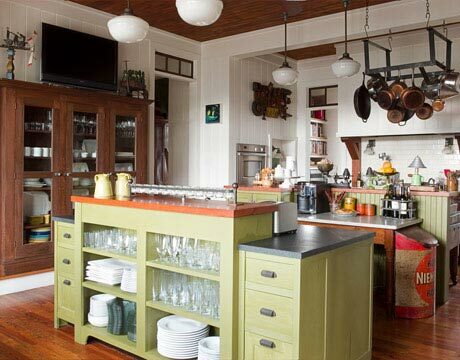 Get started on your kitchen projects today – the end result will be so worth it! Will Roller Shutters Give Absolute Security?